Construction of Villa L4 is now underway. 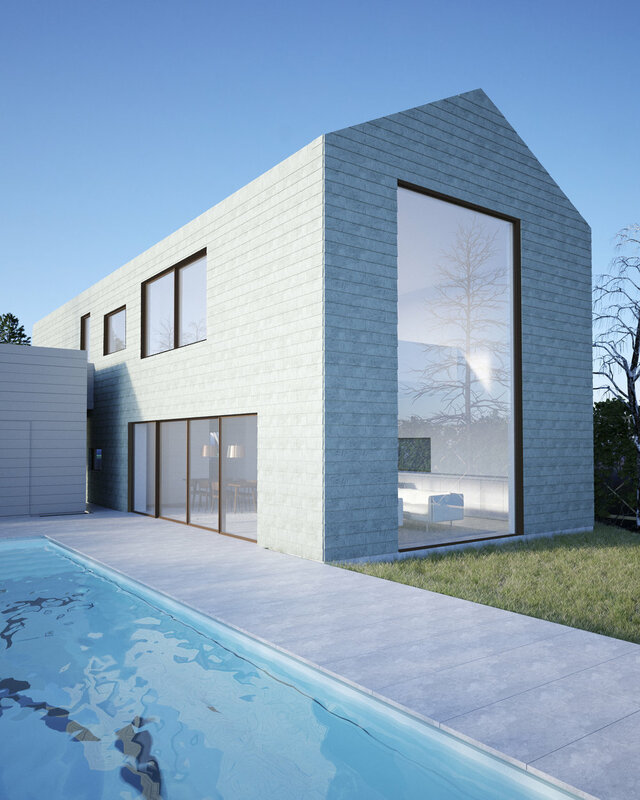 Situated in a rural region just north of Landskrona, the south-southwest facing plot upon which the 180m2 family home will sit, looks out to the Oresund Strait and the historic island of Hven. Villa L4 comprises of a main structure clad in green slate, with a separate wooden carport facing north. 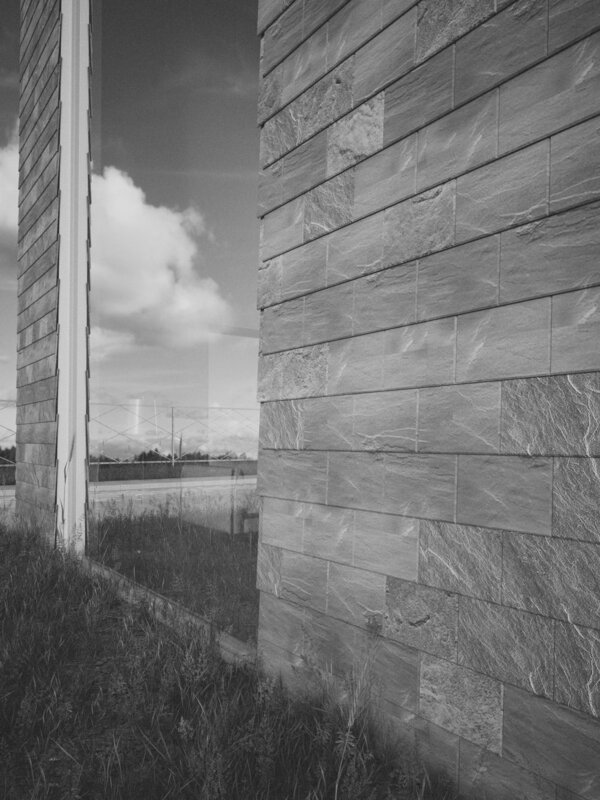 We chose stone for the facade to reflect and blend in with the surrounding landscape over time, and also because slate was favoured by the local zoning board. 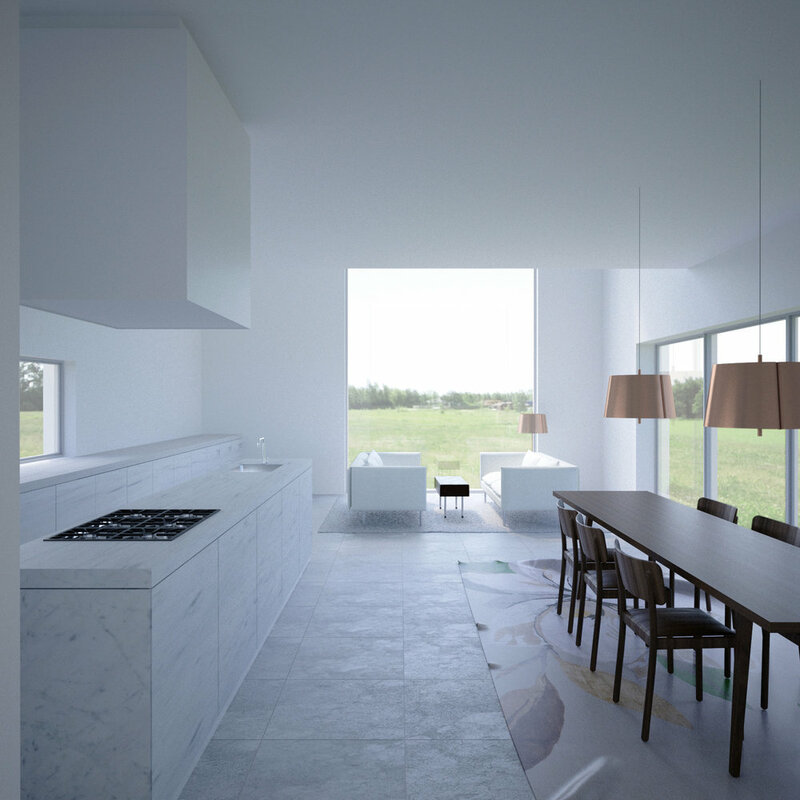 Designed for a family with two young children, the villa is laid out over two levels. On the ground floor, the entrance features a long corridor concealing functional areas, such as a laundry room, utility closet, bathroom and guest bedroom. At the end of the corridor, the space opens up to reveal an open plan kitchen and dining area, followed by a 7.5 m double height lounge area. The main focal point of the room is a six metre-high south facing window, which looks out over the surrounding meadows, Hven and even as far as Copenhagen on clear days. On the west facing facade, a sliding glass partition links the dining and lounge area to the garden and swimming pool outside. The upper level comprises of the main master bedroom suite, children's bedrooms and a mezzanine family area overlooking the main double height lounge. As the neighbouring homes are situated to the north and east of the plot, most of the rooms are south and west facing so the clients benefit from privacy, as well unspoiled views.